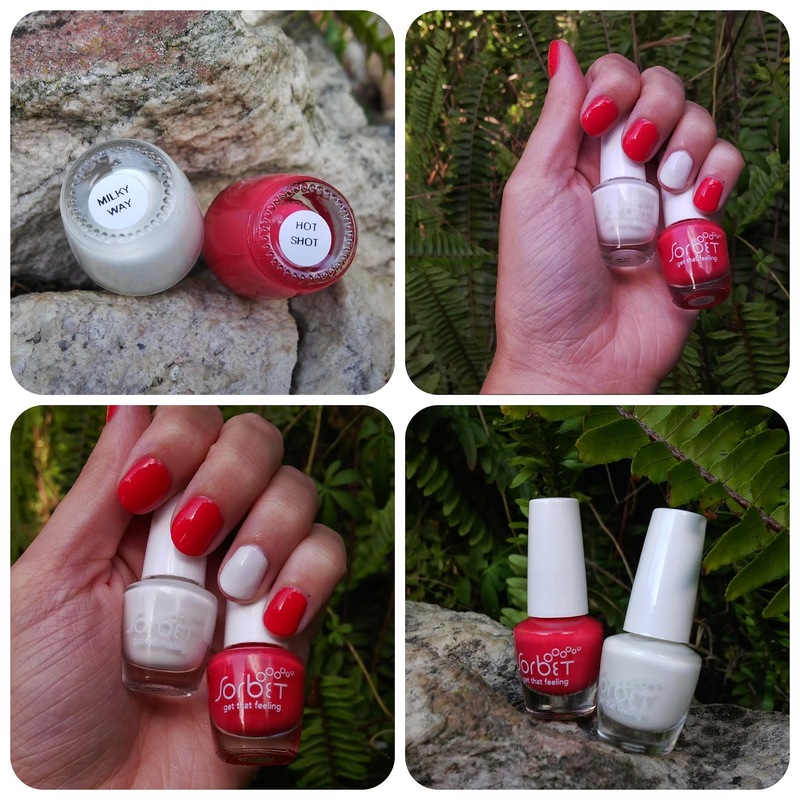 Today Sam shares a manicure she did for Valentine's Day. It is bright, colourful and fun - really perfect for someone that likes to have fun with their nails. I am far too timid when it comes to manicures, so it is nice to be able to share this with all of you. Sam has a lot more patience than I do when it comes to nail art. I really like the mix of colours, dots and hearts on her nails. There is a good mix of brands and colours. 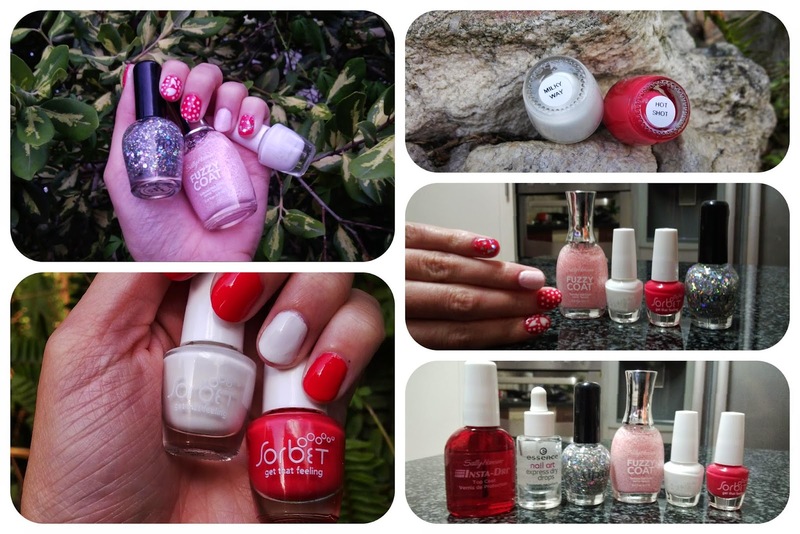 It is so important to play around with different brands to see what works best on your nails. Sam has been trying out a lot of Sorbet colours and used Sorbet's Milky Way and Hot Shot as a base for the manicure she did above. The red is a bright red and the white is milky white that give opaque coverage in 2 coats. I agree with you! All these colours are so stunning!